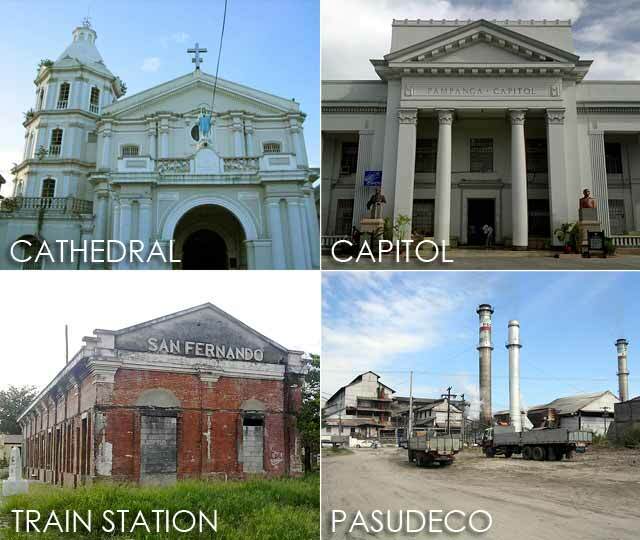 Pampanga: Save the San Fernando Heritage District! At the heart of downtown San Fernando, Pampanga is the historic poblacion, replete with remnants of the city's rich architectural heritage and history. 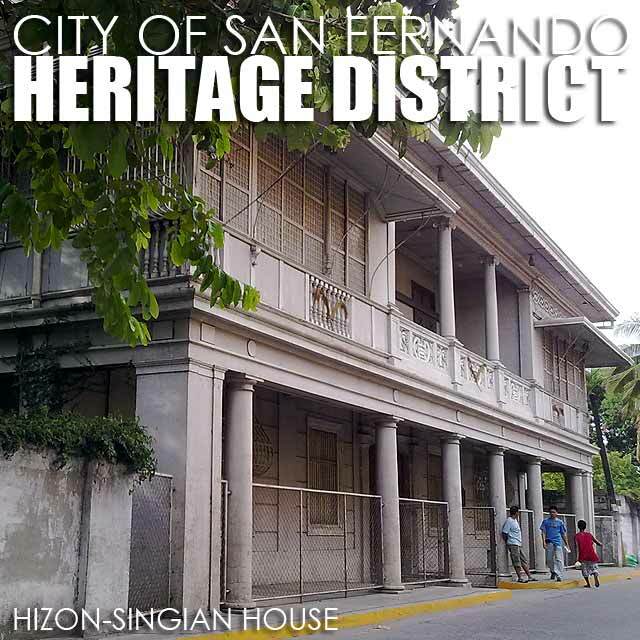 These architectural legacies, together with the intangible culture of the city, are the focus of the urban renewal program of the City of San Fernando called Preserving Heritage for Progress. In fact, the program was recognized as one of the Top 10 Best Practices of the League of Cities of the Philippines, and a Trailblazing Program of the Galing Pook Awards both in 2004. In 2006, the Association of Tourism Officers of the Philippines (ATOP) selected the program as the winner of the Heritage Tourism Award of the Best Tourism Practices – Special Award Category "in cognizance of the innovative and valuable effort, passion and commitment of the City Government to ensure the protection and promotion of the City's priceless architectural heritage by restoring and preserving the same for the benefit of the future generation of Fernandinos and the Filipino people." In line with a popular salawikain "Ang hindi lumingon sa pinanggalingan ay hindi makakarating sa paroroonan," San Fernando firmly believes that its history, heritage and culture are vital tools in the advance towards further progress. In 2004, the historic core of the city was declared the City of San Fernando Heritage District through a city ordinance. Several of the structures have been declared by the National Historical Institute as part of our national heritage. While all heritage structures are protected by the ordinance. Most of the structures are concentrated along Consunji Street, Tiomico Street and Capitol Boulevard. These include the Metropolitan Cathedral of San Fernando, San Fernando Train Station and Death March Marker, Pampanga Capitol and Provincial Jail, and the Lazatin, Hizon-Singian, Consunji, Ocampo, Henson-Hizon, and Hizon Houses among many others. Four houses are already declared by the National Historical Institute as Heritage Houses. Then there's the PASUDECO Sugar Central along Capitol Boulevard. It stands as a testament to the resiliency of the Kapampangans as a people and their continuous drive towards progress and development. An inherent part of the heritage district of the City of San Fernando, this storied structure, a fine example of industrial heritage, is ripe for adaptive reuse and conservation. This proposition yearns for an architect or urban planner with the vision, imagination and genius to incorporate this historical structure into the 21st century community that will be built around it. Unknown to many, the town proper of San Fernando may be the only city in the country where motorized tricycles are prohibited thanks to the political will of its leaders throughout the years. You can in fact, still enjoy a kalesa ride around the old quarter. Why not take a journey back to San Fernando's storied past with a visit to the city's heritage district? The city is very historical in fact, it has a large assemblage of markers from the National Historical Institute. I've counted eighteen markers so far. 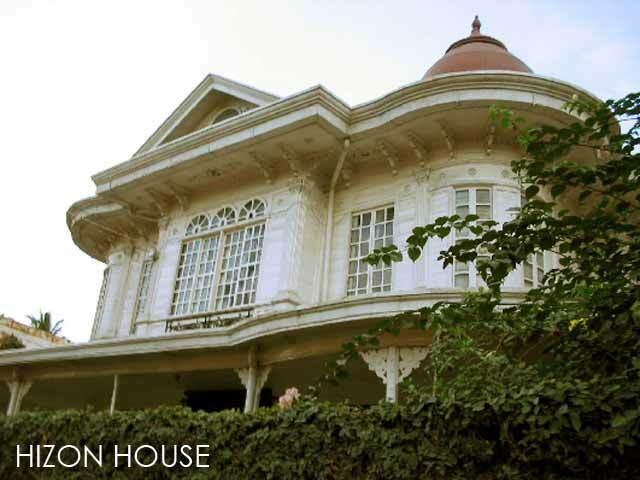 Later this year, markers for the Pampanga High School and Hizon House will be installed bringing the count to twenty. 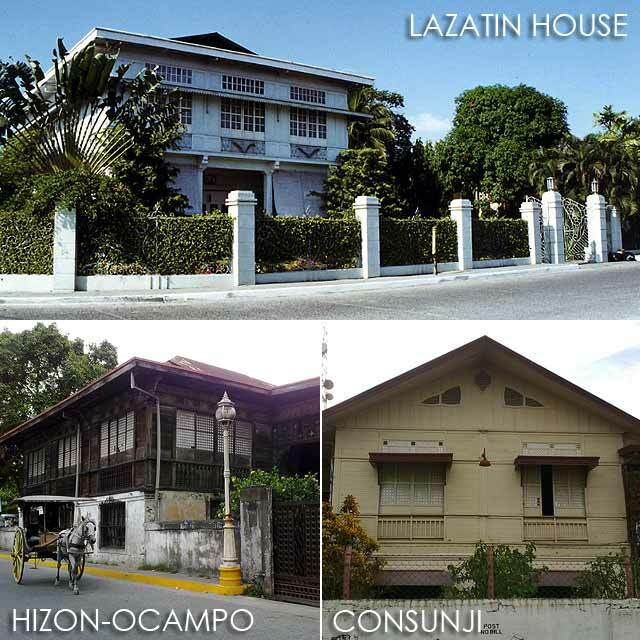 Just a few days ago, I got a text message from Dom Martin Gomez inviting me to lunch since they plan to reconstruct and restore another Hizon House which will add luster to the heritage district. There is no doubt, the citizens of San Fernando indeed value the city's architectural heritage. Which is why news of an SM City San Fernando to be built right smack in the center of the heritage district will be met with stiff opposition. I was told the mall is going to be built along Consunji Street, between PNB and Pampanga Hotel, all the way to V. Tiomico Street. I was all praises for SM when they built SM City Pampanga away from the poblacion. I can't understand why they have to build another one in our historic downtown area. Right now, I'm already thinking about the damage the proposed five or six-floor mall building will do to the cultural landscape of San Fernando. It will tower over the Cathedral! The height alone will destroy the character of the district. The idiots! For the love of Philippine heritage, will SM please find another place for their mall (as if they don't have enough already). Stay away from our heritage district please! Save the City of San Fernando Heritage District! No to SM City San Fernando in our heritage district! hndi lng ang historical heritage district ng SF ang tatamaan, pati mismo ang kabuhayan ng mga fernandinos, whose lives are history in d making. hay nku nmn.may SM n tayo.syng mga old house ganda p nmn.tgnan niyo vigan khit luma mga bahay nka preserve! that area is the only area in the city proper left with cultural heritage! and to think the Cathedral is just across. Aren't they contented with SM Pampanga and Clark?? bet not. I'll join you in the cause of opposing this. I'm originally from Bacolor and now my family lives in san Fernando. Where exactly are they planning to build it? It's going to be built along Consunji Street, between PNB & Pampanga Hotel, all the way to V. Tiomico Street. I was all praises for SM when they built SM City Pampanga away from the poblacion. I can't understand why they have to build another mall right smack in the center of our historic downtown area. And to think the National Historical Institute will be installing another historical marker in the heritage district later this year since another house was declared a Heritage House. i also wonder why they would want to build it in the heart of downtown San Fernando. It's a crowded area with narrow streets. I think downtown SF is best kept the way it is right now. I also lauded SM when it built it's mall away from poblacion as it not only developed a previously idle land and decongested the poblacion. This is an outrage! Wtf is SM thinking! I am from Angeles city but whenever Im in downtown san fdo, I love passing by that area coz I love seeing old buildings, churches and especially old houses, I love thinking about the rich history behind this monuments and I especially love the old Hizon house! I love the san fdo heritage district coz when ur there u can imagine for a moment what its like to be in old pampanga and what a rich culture we pampanguenos have. Somebody stop sm from ruining what's left of our national heritage!!! Will their building destroy any heritage buildings? Fortunately none John. Almost all structures are already declared nationally, and all locally. But it will overpower everything. You will see it from wherever you stand in the heritage district. I looked at the drawings again, it's six floors! And that's six SM height floors! hay, ka kapoy ani napud. can't people see beyond malls for a change? Ivan, this must feel like a stab in your back. OK, now that we're outraged, what first concrete thing can we do? Is the building a done deal already? Is your mayor sympathetic to heritage preservation? Can there be a TRO? I think the city government is rejecting the initial design, I hope! But I want the mall rejected unless they bring it down to two floors maximum. That's when we start talking about design. THERE SHOULD BE A TRO! THE MALLING OF THE PHILIPPINES HAS GONE A BIT TOO FAR! Aru... diyos cu! Macanyan la! arent the 2 huge malls across the overpass enough? SM is beginning to eat into its own market territories. why so many malls? its even invading the Filipino culture - sa lugar at gawi. Hay naku,wag bigyan ng permit! Patay na lahat ng business sa downtown San Fernando. It will never ever be the same again. This is so sad. if they can do it Manila, there's no stopping them from doing it anywhere. Say no to this madness! !SM has already starated killing small business in the poblacion area.Some are iconic in a sense that Fernandinos knows them all like Apung Gari, La Creation, Savers, Almatom etc.Spare the city from this. And the provincial government has become dependent on them kasi nga naman libre na, comfortable pa. Naging indispensable sila tuloy and it has become a vicious cycle! And then they tout their participation in these events as part of their being good corporate citizens while siphoning businesses from local entrepreneurs and destroyiong the culural integrity of a place. I air these comments not against any particular person. I say these to everyone who reads it. Before we move for the cancellation of the construction of a SM mall in downtown San Fernando, should not we listen first to those who are for the construction? Here are questions that need to be answered and whose answers need to be given sound arguments. 1. Will a SM mall in downtown San Fernando destroy its cultural landscape? 2. Will a SM mall in downtown San Fernando cause heavy traffic? Maybe we should not be concerned with the mall construction (as far as traffic is concerned) because traffic matter should be solved through other means? 3. After considering the costs and benefits in the short and long term and in different aspects such as economy, culture, and politics, among others, which alternatives shall we pursue? 4. Is not the old houses the houses of the town elite? Whose culture do we want to preserve? Are majority of the folks for preservation? 5. Maybe it is not the construction of a mall that must be our challenge, but the things that we should do after that. I hate to play an evil advocate. But I felt that I should raise the objections above. Those objections are not rhetorical questions. They are open questions. goes to show that the filipino has no sense of culture and history. for sure may mga kumita na naman na public official. plus, one way for SM to avoid paying taxes is to reinvest their income in to building more malls and then apply for tax breaks due to investment. Cong Fer, we can. And I think that's what Ching is trying to do. Hindi pa huli kasi they are still in the process of application. Kakasubmit lang ng design. just goes to show that filipinos have no sense of history and culture. may MGA kumita na naman na public official. @David Garcia, on PASUDECO, the sugar operations should be removed. But the structure must be preserved. It can be adaptively reused as a mall in fact similar to the Tutuban Station in Manila. The argument that the old houses are the heritage of the elite is also stupid. The bahay na bato is the architectural heritage of the entire country. Imagine saying the Great Wall of China or Forbidden City is the heritage of the emperor only, or that the palaces of Europe are the heritage of kings only. If that argument were true, there would be no heritage left around the world! Heritage also pays tribute to the craftsmen who built them and not just their owners. They are testaments to the politico-historical, cultural & architectural traditions of the time they were built. Nice questions but I'm sure you yourself could answer your own questions. They need not be asked because the answers are obvious. Yes, that's why we need to keep our eyes on this. Hindi dapat tayo pumayag na multi-level structure in Sto. Rosario. If any one has a question, s/he should ask it no matter how stupid it sounds. That is a way for the person to know whether s/he is right or wrong. oh no :( we have no sense of history, heritage and culture. no wonder we have no national pride. when will we ever realize that a lot of other things are more lasting and gratifying than economics?! arrrgh. SM always does that...look at SM Baguio! The thing is...the Baguio Folk love it! Sometimes makes me wonder if only a few people in this Country are really concerned about heritage, history, culture, etc? I think Malls are the new Cathedrals and SM the biggest god of them all! The Gov't should place a stop to all these Malls, they're a real eyesore now! Malls will surpass Cathedrals, heritage sites, etc. in a very short time in this Country, if they haven't already done so!! nasa local officials nyo naman yan. lalu na sa mayor, malaki kasi SOP jan kaya di nila pinipigilan. pinatay na nga mga local businesses jan sa downtown nung tinayo ang sm city and rob., ngayon gusto pang i-double dead. Sir wala pa naman permit yan.. Yes, I know. Kelangan ipatigil hanggang maaga. The biggest problem actually is the height. It's too high. Baka pag two-floors, pwede pag-usapan. We all know what SM Malls look like in general. We also know that such establishment brings motor traffic to a standstill not all the time but it is a cause of traffic nonetheless. As mentioned, you know the answers to your questions. It's not being a devil's advocate, but it is blatantly pro-SM. If this is true, SM has gone too far. This might be a test case for the Heritage Bill. With all it's financial capabilities and influence, one would have thought that SM should know better. I forgot Mr. Garcia, when they start constructing and digging, there is a possibility that it may affect the heritage structures foundations and CAN THE INFRASTRUCTURE SUPPORT A MALL AS LARGE AS SM E.G. DRAINAGE, TRAFFIC. sabi po ng aking ama... un daw po talaga ang original plan at site ng SM before nag erupt ang Mt. Pinatubo at nag lahar... kaya nga lang di naituloy sapagkat sa posibilidad na ilulubog ng lahar ang san fdo.....surprisingly bakit ipagpapatuloy pa rin dun??? While the design of the building is the biggest concern, we have to realize also its effects to the small businesses in the area... i am afraid that if the project will push through, it will render a lot of people doing their trade in and around the public market without jobs and push them to do unlawful acts to make money. at ang traffic, ang sikip nang mga kalye sa heritage district para lagyan nang isang mall... is it not enough that we have, i think,one of the longest SM mall in the country? teka lang naman, i'm also a Fernandino ha,and I am very much "for" the preservation of SF Heritage District. Let us not deprive the young ones and the next generation to see these cultural landmarks. So sad naman if they'll get to see it in pictures na lang or sa mga articles na lang mababasa description ng place. Thanks for posting this, Cabalen! I'm also against it. If I remember it right, the proposed location is being used as a terminal. Before 1995, a mall was supposed to be constructed at that same location but the floods were a hindrance. 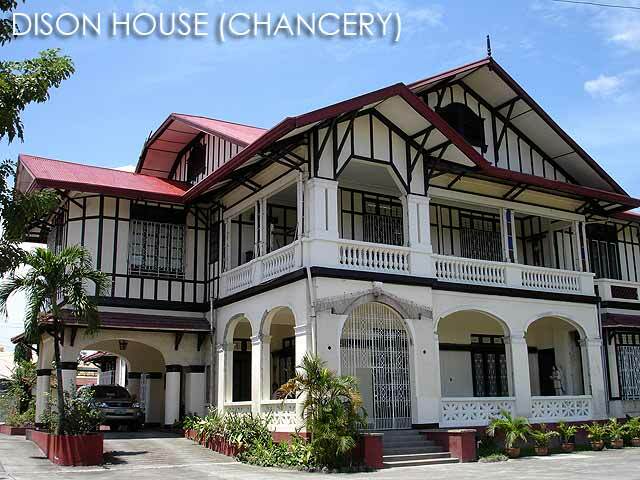 It became vacant until Mayor Oca Rodriguez transformed it into what it is today. After a positive experience with them in Sta. Ana, I'm sure you can engage them to build something that is respectful of the district. Yes, that's the plan. But right now, people don't like the mall at all. The streets of downtown San Fernando are just too narrow. And the mall will kill the historical enterprises there that are struggling to survive. Sana po hindi matuloy yan. Nakapunta na ko sa lugar na yan. has the San Fernando government approved of this plan? Not yet. They're in the process of applying for a permit. That's why we're making our sentiments known. is this plan push through i will never step inside a SM mall never!!!! Maninap no yata karakal midame king gagawan da magkagera City San Fernando. Eneman maynila ini eh! Ampong ninu naman ing mamasyal karin karakal kalulu munaman! lawe ku istu ne itang SM lele nlex, ena dapat ing metung pa keng cabalenan.. dinan ta lang chance deng magtinda palengki, anyang minuna deng biklat ing SM meyna la.. ali porket makakolekta lang maragul a tax keng SM pagbigyan da la.. ali ngan pera ing mimiral keng mundu..
ivan, first thing you need is to make the issue known to fernandinos and beyond.... i am inviting you on Talking Points over infomax8 & TV44... let's let it all out! ali ba dapat ing manungkulan kng balen na ning mesabing syudad iya ing mumunang against kng project ayti? O nanung gagawan na ning kekatamung leader a mesabing anak ning San Fernando? "There is however an existing ordinance regulating the construction of buildings along the heritage district. We'll make sure the proposed building is according to Heritage specifications." This is sad news. Aside from negatively affecting the cultural sites of San Fernando, SM would also destroy the small industries in the area. SM only promote but short lived employment that benefits them as it is cheap. @Earl, thanks! When we talk about heritage specifications, it encompasses two things, design and scale. Design is easy to discuss because it will only be limited to the facade. But scale is another thing. When we talk about the scale of structures in San Fernando prevalent during the Spanish and American colonial periods, a structure should be no higher than two SM floors. The proposed six-floor structure (four mall floors plus two parking floors) is way beyond allowable heritage scale. We should not allow what happened in the City of Manila where SM is higher than Manila City Hall. I'm willing to sit down with them on the discussion table. @Girlie, there's nothing final. They just submitted an application for permit. But yes, as early as now, we should voice our opposition. I know the mayor will do what is best for the heritage district and his constituents. @Jhom, yes let's discuss when all the details are in. All we know is that they've submitted an application and a proposed design which is obviously not suited for the heritage district. Others say there shouldn't be a mall at all in the poblacion period. A mall of that size in the poblacion will also mean the end of our historical enterprises. naku naman ilang malls ba ang kailangan natin? nakakalungkot na ngang malaman na mawawala na ang kamuning market dahil sa SM but this is worst! I am really proud that San Fernando has a heritage district (and the fact that the kalesa is still a common form of transportation around town). Building SM there would definitely destroy the district. Why does SM need another mall in Pampanga? I trust and think that the local government will not allow this. Pretty tough decision though we own our city and we know better what will work best. why do they need another SM in San Fernando? i have kapampangan roots from San Fernando and Angeles and my hubby is from Bacolor. this is totally outrageous!! NO TO ANOTHER SM MALL IN SAN FERNANDO!! Kung mag comment kayo akala niyo kung sino kayong magaling. Ang laki ng tinutulong ng SM sa ekonomiya ng Pilipinas. Nakakatulong sila na maparami ang trabaho. Isipin niyo ang pang matagalang epekto nito sa mga mas nakararami. Ikaw Mr. Ivan, ano na ba ang naitulong mo sa Pilipinas bukod sa pag popost mo ng mga blog? Itong si anonymous, kung mag-comment akala mo kung sinong magaling. Sana di ka kasama sa kikita dito. Marami na akong naitulong sa bansa natin. I wouldn't have been awarded Most Outstanding Kapampangan and Most Outstanding Fernandino if I had not contributed anything to my city, province, and country. No to SM City San Fernando in downtown San Fernando! Protect our small businesses from corporate greed! Protect our workers from unfair labor practices! Protect our heritage district! lets think positive about putting sm in the heart of san fernando, it only means that san fernando is beginning to be progressive. it will surely benefit the local people. during construction, surely sm will provide safety measures and technical method to prevent damages to its nearby structure. traffic ? when there is traffic it means that so much business is in there, sm always prepare a traffic study before constructing and it is always submitted to the local government for their review and appoval. since mr. ivan says that sm will not hit any heritage sturucture, then it is good. if our concern is to preserve the site, why not ask sm to make their exterior facade very cultural or historical, lets think positive always. regarding saving the small entrepenuer, lets ask sm to give prioty to local businessmen for them to have space inside the sm, then lets ask some discounts. sm will surely, help us with our concerns, its just a matter of coordinating with them. for SM will save San Fernando. ! Beginning to be progressive? Are you insulting San Fernando? The city has long been progressive. Henry Sy already owns the Philippines. I'm sure he can live without ANOTHER mall in San Fernando. Because San Fernando doesn't need ANOTHER SM mall. Malls are not the measurement of progress. look in the brighter side Mr. Ivan, open your eyes wide. If you are really concern about the fernandino's instead putting this blog you should be helping. being pessimist will bring no good. ! Mr. Baguisa, my eyes are wide open. I've visited more than 70 provinces of the Philippines and over 20 countries already in search of best practices. San Fernando has potential to maintain its character and at the same time, earn from tourism arrivals through its heritage district. It takes time, at least a decade or two. Over twenty years ago, Vigan was decaying and people wanted to demolish the old houses. They literally wanted to kick out those pushing for conservation. Look at Vigan now. 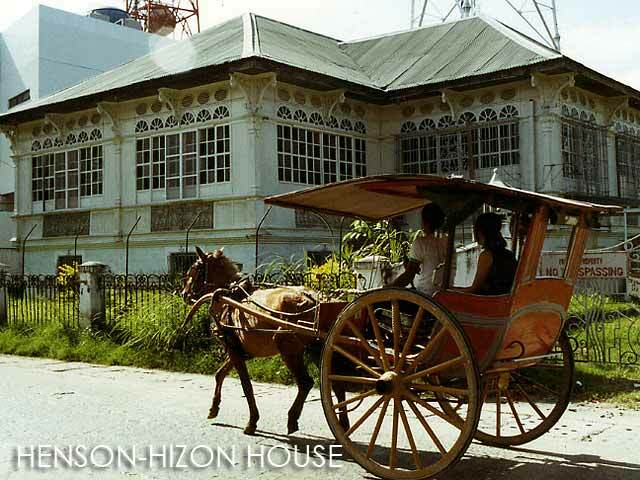 Imagine if those who wanted to demolish the old houses succeeded, we have no Vigan to speak of today. Imagine if they built an SM mall right beside the Vigan Cathedral! It's earning much from tourism because they were able preserve the streetscape. Taal is also moving towards that direction. San Fernando was slowly moving there as well until this SM mall came into the picture. You may not see the vision now, but a decade from now, as we slowly restore and improve the district, it will reap returns. I'm not against another SM mall in San Fernando per se. I am against the proposed location of the mall, design and height. SM Pampanga is just about five kilometers away! Overkill if they have another one in the poblacion. If they want to build another mall, let them do it in the north. Hey Ivan, I just read this post! I really appreciate your blog and see that your travels abroad have widened your perspective. I agree with you on having a big corporation such as SM respect the architectural heritage of downtown San Fernando. They could still have a subtle presence in downtown and NOT overpower its charm. I like your vision! KEEP UP THE GOOD WORK!!! Having an SM in downtown will be very convenient for me and my family. It will save me a lot of trips going to their Pampanga mall. I'm glad SM is building one nearby! The current SM mall is just about 5 kilometers away. You sure are lazy! Is that you ...? Haha! agree ako, kahit saan kami magpuntang lugar sa Pilipinas, sa Cebu, Baguio, Tarlac, Laguna kapag tinanong ako kung anong ginawa namin doon, sagot ko ay nag SM. Kahit ayaw sa SM, sa SM pa rin ang punta. Thanks for calling the attention of all to SM. It represents a threat, not only to heritage, but also to equitable development. 1) To heritage because it propagates homogenization. Go to one SM in any part of the country and you will meet the same products. There is little effort by it to attract local businessmen to sell their wares. Also SM consciously seeks to compete with small businessmen in the heart of each town. But it is the heart of each town where heritage structures are located. 2) To equitable development because SM throws small businessmen out of business. Their plan calls for setting up Savemores beside wet markets to attract the latter's customers. It isn't just the tinderas who are driven out, so are the hundreds of shops selling dry goods. E.g. look at what has happened to Session Rd in Baguio or to the Historic Center of Iloilo. In other countries (Japan and Spain), the government discourages big malls in order to protect small businessmen. But ours is a Weak State that is easily manipulated by powerful private interests. If I may make a suggestion: HCS's message will be better understood if it allies itself with other segments of the population. E.g. with small shopkeepers and small businessmen -- in this case. In other cases, we may think of forming alliances with urban poor who need housing. Our inner cities have many semi-empty buildings (some of heritage value) that could be restored as rental housing -- as has happened in the Tenderloin District of San Francisco, USA. Perhaps the next conference of HCS could focus on forming alliances with other sectors. Mipalalu ne cataco canian in SM, pelalu rugu qng cabalenan na ning CSF, bisa ya mu namang manalacad mall na. Mayap sana nung Hypermart ya, oneng six floor ya! Alus pulus na malls ing acaquit qng labuad Capampangan cayabe ne quen ing Tarlac. E que mamarocan ing pamanalacad nang mall ning SM oneng e naman sana qng cabalenan na ning CSF. Obat e ne na nea mu italaca qng Betis uling balu cu mimisip na la mu namang SM Guagua canian den. Y yan naman siguradu ing babalacan na ning SM a mica mall ya careng anggang mangaragul a balen ing Capampangan, atin ne qng CSF, Clark, Tarlac, paratang nea me naman ing queng Guagua canian. Dapat mica batas a reng mall quen la mung uptown at e careng cabalenan. I support you Ivan to your cause. Dacal a salamat! the construction of sm is now on going what can you suggest so that the vendors in the city proper or public market will not be that much affected in this plan. for short what is your conclusion to this problem? mAYOR OCA SHOULD MODIFY THE POBLACION AREA PRESERVING AND RESPECTING THOSES ANCESTRAL HOMES, PROTECTING THE LOCAL BUSINESS MEN TO FIGHT POVERTY AND UPLIFT THEIR LIVELIHOOD.. TO CONTRUCT NAOTHER SM IS NOT THE ANSWER ... EMPLOYMENT OPPORTUNITIES???? I DONT THINK SO THE WORKING CLASS WHO ARE IN 5 MOTNHS CONTRACT CAN NEVER UPLIFT ECONOMIC SITUATION HE SHOULD HAVE PROMOTED THE VERY OWN PUBLIC MARKET TUTAL SOME OF THEM COMPLIES TO THE CITY GOVERNMENT IN ACQUIRISGN BUSINESS PERMITS.... PINALAKAS SANA CULTURAL AT BUSINESS NOT TO COMPETE!!!!!!! haiz, pera pera lang ang labanan. I am also against this. For the record, who actually approved this? Is it solely Mayor Oca? or the City Councilors casted their vote? If it's the latter, please enlist the names of the councilors who voted for and against this so the PUBLIC may know. Cultural treasures are ought to be preserved. Sn fdo heritage district's charm is priceless. Besides, it makes the city more interesting and attractive.